fishing, boating and adventure holiday destinations. Noosa's premier tackle store. Stocking the largest range of top brand tackle on the Coast. Open from 6am to 6pm, 7 Days a Week. The latest video clips from the river mouth rock groyne, plus aerial drone footage and/or aerial photos of the Noosa Bar Crossing. By far the longest running offshore fishing charter operating in the Noosa area. 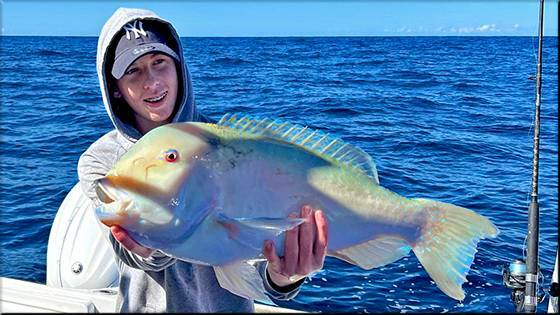 One of the most respected offshore fishing charters in the Noosa Shire. If you're looking to catch the big one while you're in Noosa, check out 'Wild Thing 2'. Calm water fishing charters for both the novice and the expert angler. The Davo's 'Fish of the Week' Comp. $100.00 up for grabs every week. A monthly, informal gathering of local offshore boaties. Skipper your own river boat or join us on a guided jet ski tour of lovely Laguna Bay. (and more) of comprehensive Fishing Reports. Noosa has a wide array of piscatorial attractions. Check out the options.